Video advertising is a growing market in both mobile and digital industry. It may be difficult for some to keep track of all the terms related to the industry. Here is a list of Video Advertising Glossary terms that are often used and needs to be understood. 1. A/B Testing and this is also called the split testing. 3. An ad exchange is the technology platforms where the advertisers can bid on the inventory. 4. The ad network is the organization that brings ad inventory together. 5. Ad server tracks interaction between the ads and the users. 6. Advertising ID is the unique Google Play Id for advertisers. 17. Campaign optimization is allocating budget towards better-performing ads. 18. Click is a consumer clicking a video ad to watch it. 59. Affiliate marketing is a marketing practice to reach new customers. 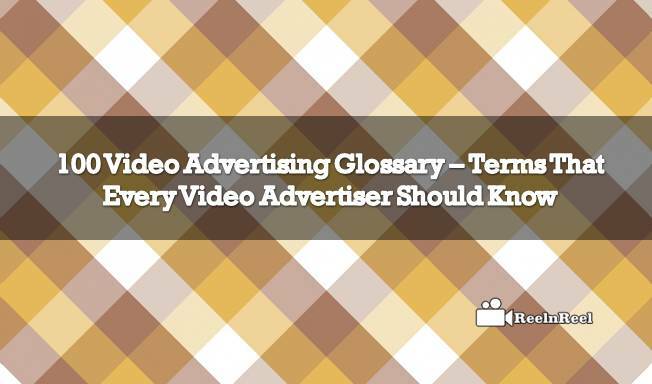 It is one of the terms of Video Advertising glossary. 65. The campaign is the process of planning, buying and creating ads. 96. SEO is search engine optimization. It is the most powerful terms of Video Advertising glossary. Knowing the video advertising terms is a great help for the publishers and marketers especially those who are newly entering the industry. These above 100 Video Advertising Glossary points will help you in your business.